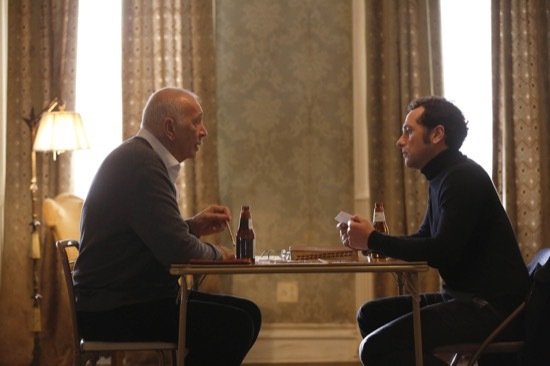 One of the strengths of a great show like The Americans is its ability to develop its characters, to constantly have past experiences in mind as it crafts their present day storylines. In the quote above, we see a Nina who has come to terms with who she used to be and who she is now, and because of that, we can look at her note smuggling decision in a new light. This is slightly different from Philip and Elizabeth, both of whom I feel are still struggling to work through any connections–or disconnects–between past and present. However, bit by bit, things are coming together for them even as everything seems to be unraveling. Overall, the show tends to find these quiet moments of connection among the chaos, and that’s why it resonates so much for me. 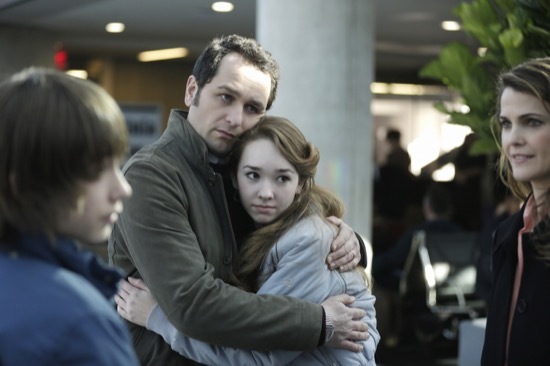 Since the beginning, The Americans has tackled the idea of identity from all angles. Its premise is already a treasure trove for that particular theme, and over the last three seasons, it has built a complex web of lies and deceit, slowly unraveling it all in season three with several big revelations. “Glanders” turns the show’s focus inward, delving into internal struggles raging in the minds of Philip, Paige, and Martha. It’s a premiere that kicks off the season in style, and it previews a season that is sure to be one of the best on television this year. 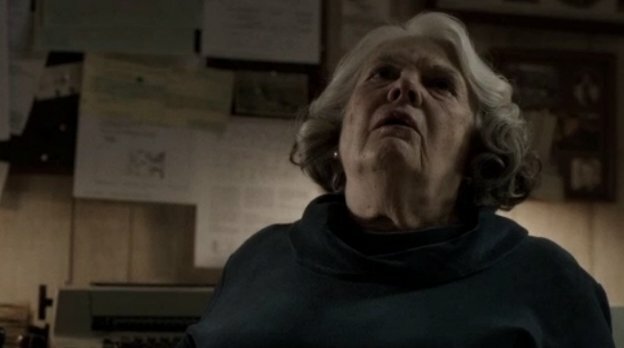 In the world of The Americans, trust can keep you tethered to your humanity, but it can also lead to your demise if you aren’t careful. The characters in this show are constantly walking on a thin sheet of ice, off balance and unsure about whether their next step will send them plunging into freezing water. It’s a precarious situation to be in when you’re in the spy world, but it’s also what makes these characters so compelling to watch; when personal and professional tangle and become inseparable, there comes a time when you simply have to make both work. One little push, though, and it can all come crashing down. In a season that has featured a dead body being shoved into a suitcase, an extended tooth-pulling sequence, and a gruesome necklacing, it’s saying something when you come across a scene that’s more difficult to watch than all of those. 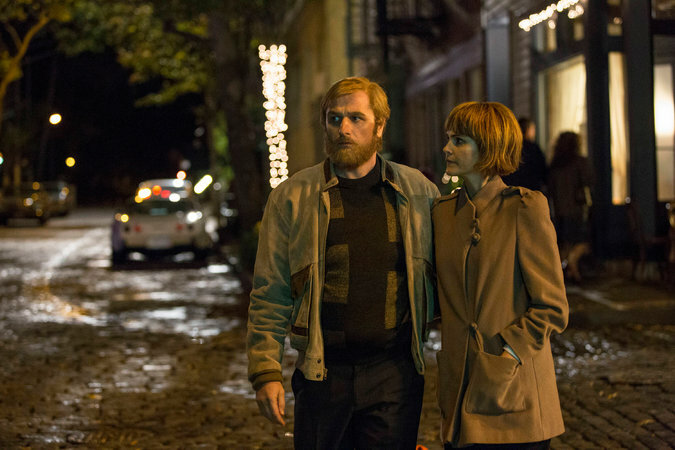 “Do Mail Robots Dream of Electric Sheep?” features an absolutely devastating series of scenes that touch upon many of the themes of the show, and the episode again solidifies The Americans as an engrossing, tough-to-watch hour each week. This show is, at its most basic form, a show about a conflict between the Soviet Union and the United States. From there, we branch out into personal and emotional conflicts, into conflicts between parents and kids and conflicts between coworkers and conflicts within your own mind. Underneath all that conflict, though, lies the heart of the show: the mutual trust and respect that is needed in order for a relationship to function, in order for any kind of team to function. It’s exactly what we see tonight between Elizabeth and Philip Jennings, and how the show goes about conveying it is absolutely fantastic.